Engaging the Next Generation Genealogists! I have been working on genealogy for over 20 years. I started with just a few names and over the years I have built a very large tree. As a professional genealogist I have been able to build well documented trees for other people. In doing so, I have developed a deep desire to pass on this passion to my children and grandchildren. The problem I have come upon is how I can engage the younger children in a way that they will find Genealogy interesting. With today’s technology there are just too many other ways for them to spend their time. Then of course they have school, sports and many other interests. The trick is finding the right combination of activities, information and technology and bringing that into our efforts to spark the interest in Family History. In my case, I did not begin my search for my Family History until all of my children were older. Then I was so busy researching and building my trees that I didn’t include anyone else in the process. I told others about the “finds” I made but it was usually met with indifference. Although I was excited about the facts that I had discovered I was not able to convey that enthusiasm in a way that sparked an interest in what I was doing. So eventually I just quit trying. In the last couple of years I again began to try to pass on my excitement over Genealogy to some of my Grandchildren. This time I came up with some better ways to present it to them and this time I was met with genuine interest. I found that it was not as difficult as I had originally thought; it just required a lot of imagination. It took some effort to develop some of my ideas but when my Grandkids begin to ask questions about their family and take an interest it is worth it. I started by making individual binders for some of our “famous” or “infamous” ancestors. I started with the first 2 ancestors to come to America, Thomas Garnett and William Powell in 1609. William was the Captain of the ship “The Swan” and Thomas was his indentured servant. 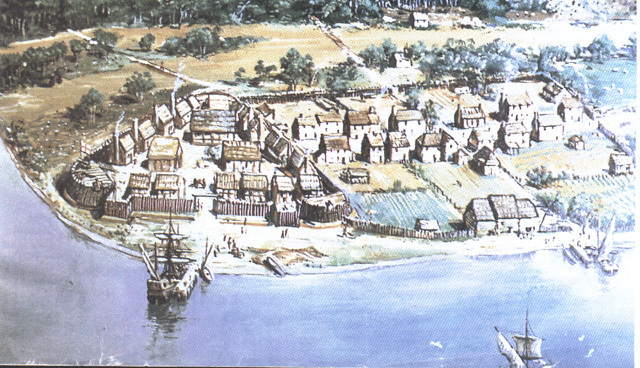 On the cover of binder I put a picture of Jamestown Virginia Colony, the place the immigrated to. Inside I told the story of each ancestor separately and then the story of the two of them together. It turned out that William is my paternal 9th Grandfather and Thomas is my maternal 9th Grandfather. Adding history, pictures, the genealogy line to us and the stories really got my Grandkids interested. They could hold the binder and flip through the pages and read the information and see photos and it became interactive. It also sparked questions from them about other ancestors. 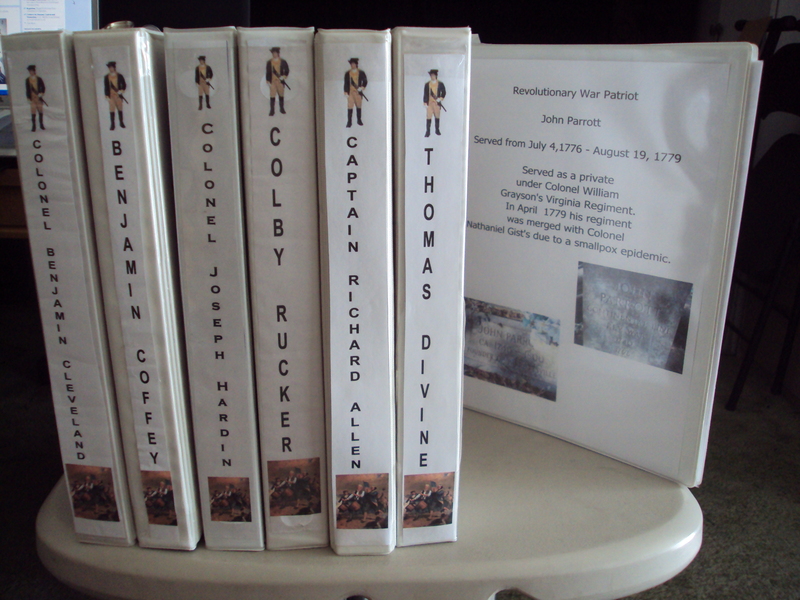 I also made binders for those who fought in the Revolutionary War, Civil War, and even for our outlaw ancestor. I came up with a trivia game that we call “Name that Ancestor”. My youngest Grandson, Banon who will soon be 9, loves this game and we play it for hours. I started a scrapbook for each Grandkid (I have 9) and I made 9 copies sized 3×5” of any photos I have of our direct line ancestors. The Grandkids can then place the photo in their scrapbook and write what they remember about the ancestor on the page. This engages them in the research process because sometimes they ask questions and instead of answering it for them they have to look it up. For my 2 youngest Granddaughters I am teaching them to quilt by making a “Family” wall hanging. We are using iron-on transfer photos along with their favorite colored fabric to make the quilt. We are about half way finished with it and as we work on it, I tell them stories about the ancestor we are working on. It is so much fun and it builds great memories all around. Getting our next generation interested in Family History/Genealogy may take some imagination and a lot work but the effort is worth it. What wonderful ideas Valerie! Thanks for sharing! Gamification should be a very effective tool. I like the trivia idea. If I ever have kids of my own, I will definitely have to use that idea. Fun ideas! 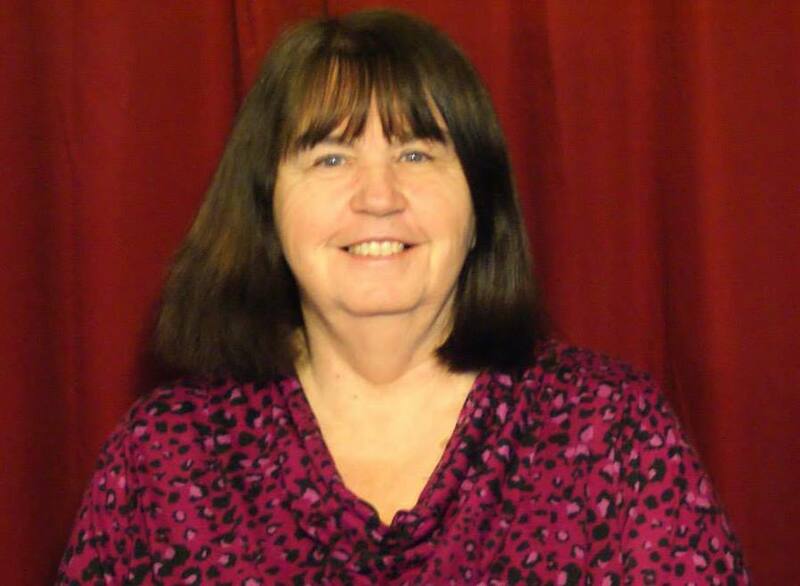 I shared your post on the Facebook Group of the NextGen Genealogy Network. We get lots of questions about how to engage kids and teens in family history! Thank you so much! I am glad you liked the blog. Wonderful ideas, thank you for sharing them. I’ll be passing them onto my genealogy class. I am often asked how to stop eye rolling from the kids whenever family history is mentioned! I am glad you liked the ideas, thanks for reading the blog! 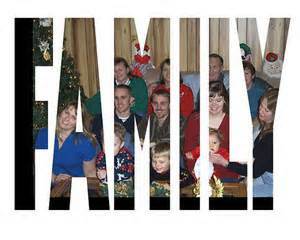 This was a great article with many ideas for all of us family historians. It has given me some ideas for my own kids. Thanks! Thank you for reading the Blog. I am glad it has given you some ideas for your kids. Let me know how the kids like what you come up with. Thank you so much Jana. Have a great Labor Day weekend! Very impressed with your imaginative ideas for encouraging interest in family history. Thank you Susan. I am glad you liked the blog. 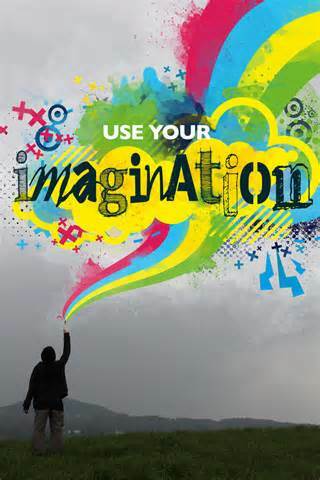 Hi Valerie, I just happened to find your blog – I love your ideas – you are so creative! The books of pictures & information on interesting ancestors is a great idea to help grandchildren (and adult children) learn about their ancestors and heritage! Appreciate you sharing! I’m fairly new to this hobby but it has really captured my excitement and interest!! Thank you! Genealogy is so exciting it really does capture our interest and curiosity.